Now Linda, a Never Smoker, has survived lung cancer and with just half a lung has run a 5K race in all 50 states since 2012. To prove you can have ‘Quality Of Life’ after proper diagnosis and treatment of cancer, her new goal is to run a 10K race in every Continent and the 5 Canadian Provinces while creating awareness about Lung Cancer the #1 Cancer Killer that silently killed more that 220,000 victims in 2013, including 40% Never and Non Smokers in 2013… shockingly, those numbers are growing everyday striking Never smokers 20 years of age. Together, Jerry and Linda hope to promote Lung Cancer Awareness with a National Healthy Lungs Research Project to raise awareness of Lung Cancer which is the leading cause of deaths in men and women; accounting for more deaths than that of colon, breast and prostate cancers combined. Running Lungs Races is becoming a means to educate communities and remove the stigma that lung cancer is a smokers disease, provide a fun and rewarding platform for raising funds to support lung cancer and pulmonary research. All proceeds are donated to lung cancer research and specific researchers. In 2014 Linda and her husband, Jerry Co-Founded the Wortman Lung Cancer Foundation, a 501(c)(3) non profit to raise desperately needed research funds for Lung Cancer Research and specific researchers who have discovered life saving targeted therapies. Prior to her 35 year Airline Career as a Flight Attendant, Purser, Government Affairs Chair; Safety, Health and Security Team Leader; and In Flight Instructor; Linda attended the University of Minnesota while working in the fashion industry. Linda has enjoyed being involved in community work, having worked in all aspects of the school system while living in Minnesota including Public Speakers Bureau, Girl Scouts, Explorer Scouts, Boys & Girls Club of America, Ronald McDonald House, Easter Seals Society Spokes Person and Mrs Minnesota USA. She also enjoyed being a Patient Advocate on Capitol Hill in Washing DC for American Association of Orthopedic Surgeons, American Cancer Society and National Cancer Institute. Linda knows the value of family and has always treasured her husband Jerry, and their children and grand children. Together they always enjoy quality time with family, outdoor activities in the Rocky Mountains, racing vintage vehicles and traveling. Linda plans on returning to the world as a Motivational Speaker to inspire lung cancer patients, survivors and their families by giving them permission to speak openly about lung cancer with hope, determination, commitment too unite and save lives and promoting lung cancer research and funding for researchers. Lung cancer can affect anybody, at any age, anywhere in the world, smoker or non-smoker. TJerry received his Bachelor of Science Degree from Drake University in Business Administration. Captain Wortman served in the United States Air Force Strategic Air Command where he flew on the Boeing B-52’s. Captain Wortman began his commercial flying career in 1967 as a Northwest Airline pilot and instructor on Boeing 727’s, 707’s & 747’s; Mc Donald-Douglas DC-10 aircraft. After his formal retirement from aviation in 1999 he worked as a Test Pilot flying Boeing 747’s and McDonald Douglas DC-10’s until 2007. Jerry has always loved going fast! In 2007 he developed a passion of building Vintage Flathead race engines during the winter for his 35 Ford and participating in Vintage Car Drag Racing events across the USA during summers. He recently built a Flathead engine for his 35 Ford and aspires to set a 150 mph race record on the famous Bonneville Salt Flats. Wortman Lung Cancer Foundation has given Jerry another race goal. As a Lung Cancer Survivor Advocate, Jerry quickly learned the importance of early lung cancer diagnosis after his wife Linda, a Never Smoker and the picture of health, was shockingly diagnosed with Lung Cancer on 1-11-2008. Jerry is grateful to Mayo Clinic Doctors and dedicated medical teams, who listened, diagnosed, and completed Linda’s upper left lobe/3cm tumor surgery, within 72 hours of her diagnosis, that saved her life along with Mayo Clinic’s “Paced Breathing Research” and follow up Transform Programs. On Mother’s Day 2014, Coach Jerry and Linda completed a two year goal of running a 5K race in every state, proving that survival rates of lung cancer and Quality Of Life can be dramatically affected, if lung cancer is caught at the early stage. Unfortunately, few people realize that Lung Cancer kills more men and women than 7 cancers combined every year. More shockingly, 60% of those diagnosed are Never smokers-like the Wortman family; or are past smokers. Jerry is a Lung Cancer Patient Advocate because he very well understands the issues that diagnosis imposes on lives. By working on the Wortman Lung Cancer Foundation as a Board Member, we hope to raise funding for Mayo Clinic Lung Cancer Research and Programs that will address the issues of Quality Of Life for Lung Cancer Survivors and also give back to the dedicated medical teams, that care for critically ill patients through educational offered by Mayo Clinic through programs like Transform and SMART. I want to see more lives saved, so they too can experience the same quality of life, my wife Linda, our family and I have experienced because of early lung cancer diagnosis. By sponsoring 2K, 5K, 10K and Virtual “Running Lungs” Races through the Wortman Lung Cancer Foundation we feel we can reach our goal ‘Race+Research=Results’ by donating 100% of proceeds to Mayo Clinic. Julie is a lifelong runner and an enthusiastic supporter of the local running community. She has been a member of the Rochester Track Club Board of Directors since 2009 and is currently serving in the role of President. The Rochester Track Club (RTC) is a local, non-profit running club dedicated to the following mission: “To promote and encourage running and fitness in Rochester and the surrounding communities by providing support, information, and events for people of all ages, abilities and levels of fitness.” Through the support of the RTC, its members and sponsors, the club is able to provide weekly Saturday morning group runs, running clinics, and a Grand Prix running series of 9 races throughout the year. RTC also sponsors the All Comers Track Meets in June and July. For nearly 40 years, local kids – from toddlers to teens – have had the opportunity to participate in these Tuesday night track meets at Soldiers Field. Dozens of other local runs and walks are also supported by the RTC through the rental of race equipment, volunteers, and sharing of expertise. Julie is pleased to bring the runner’s perspective to the Wortman Lung Cancer Foundation Board and support the Running Lungs events nationwide. When not running or biking, Julie can be found at the Mayo Clinic where she has been employed for the past 29 years. Currently she is a unit manager in the Division of Systems and Procedures where the emphasis is on partnering with Mayo Clinic colleagues to achieve the best patient experience through objective, innovative and integrative business consulting and project management. With early roots as an artist and designer Fran's professional career has spanned that of a strategic designer, public relations professional and patient experience advisor at Mayo Clinic in Rochester, Minnesota. In June 2016 she shifted her career to become an independent contractor and community catalyst with interests and expertise in today’s patient experience economy. She brings leadership skills in creative project management, expertise in innovation in health care, human usability and human centered design, team building, fostering creativity and building creative confidence in every person she connects with. Stephen D. Cassivi, M.D., is a thoracic surgeon (chest surgeon) with both clinical and research activities at Mayo Clinic. His clinical interests and experience span the breadth of thoracic surgery with a specific expertise in minimally invasive thoracic surgery. The research of Dr. Yang encompasses causes, risk factors, natural history, clinical course, treatment outcomes and quality of life. Her team’s research goals are to reduce cancer occurrence, diagnose cancer at a treatable stage, and design the best treatment plan for optimal quantity and quality of life. Significance to patient care: Dr. Yang’s team is now putting a greater emphasis on outcomes research, particularly patient-reported outcomes. The objective is to bridge the gap in the transition from a patient to a survivor by understanding deficits, defining needs and developing care models in lung cancer patients who completed cancer treatments. The ultimate result is to accelerate the recovery process from a patient to a survivor — and from a survivor to a healthy member of society. Related to population health: Dr. Yang’s research utilizes the framework of the Rochester Epidemiology Project continues to monitor trends in lung cancer morbidity and mortality in defined populations, provide new leads as to causes, estimate the attributable risks with known causes, identify at-risk subpopulations, and evaluate the effectiveness of screening and early detection efforts. Debabrata (Dev) Mukhopadhyay, Ph.D., has a broad background in tumor microenvironment with training and expertise in angiogenesis, cancer, cardiovascular diseases and diabetes. Dr. Mukhopadhyay and his team are using pancreatic and renal cancer disease models to examine how tumors develop and particularly how they induce the angiogenic response that is essential for their survival. Vascular permeability factor (VPF), also known as vascular endothelial growth factor (VEGF), has been implicated in the new vessel development found in most tumors. Although the mechanism of these complex processes remains unclear, Dr. Mukhopadhyay and his team are investigating the importance of VPF-VEGF as well as its signaling pathways to elucidate the mechanisms by which VPF-VEGF function in a variety of tumor models. Moreover, Dr. Mukhopadhyay and his team are stuying the role of other angiogenic-related factors in tumor angiogenesis and metastasis, such as vascular endothelial growth factor C (VEGFC), vascular endothelial growth factor D (VEGFD) and phosphatidylinositol glycan anchor biosynthesis class F protein (PIGF). Additional research interests include stellate cell biology, new drug delivery systems and nanotechnology, and incorporating the use gold nanoparticles and other bioconjugates as messengers to deliver reagents capable of manipulating the angiogenic response in vivo. David Midthun is a member of the Wortman Lung Cancer Foundation Board. He is a Staff Consultant in the Division of Pulmonary and Critical Care Medicine at Mayo Clinic, in Rochester, Minnesota. 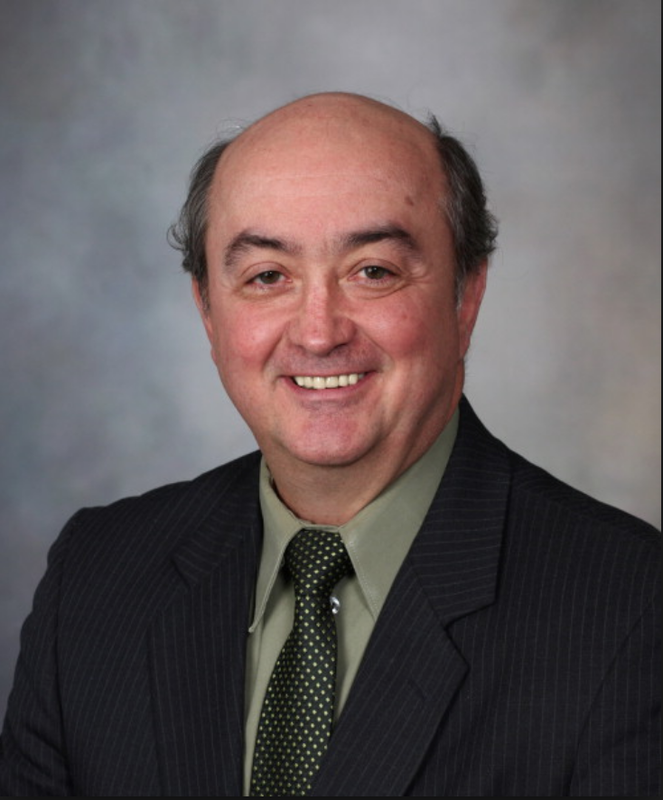 He is a Professor of Medicine, Mayo Clinic College of Medicine, and is Director of the Mayo Clinic Lung Screening Program and head of Bronchoscopy and Interventional Pulmonology. Midthun lost his grandfather to lung cancer and joins others through the WLCF whose lives have been affected by this devastating disease. He feels that the WLCF can be instrumental in increasing awareness of lung cancer and in advancing the science of detection and treatment. Midthun has a bachelor’s degree from the St. Olaf College, a Doctor of Medicine from the University ofMinnesota, and competed Internal Medicine residency and Pulmonary Fellowship at Mayo. He has done medical missions work in Honduras, Bolivia and Kenya and has been infected with the international travel bug. He skied the Birkebeiner the past 4 years, and enjoys being a dad, exercising and gardening – he’s best known for growing 2 sons and many varieties of dahlias. Research in the laboratory of Bruce D. Johnson, Ph.D., centers on interactions between the heart and the lungs under various conditions, such as hypoxia, high altitude and exercise, and in various populations, including aging populations and those with heart failure and lung disease. Specifically, Dr. Johnson's research team is interested in how cardiovascular function influences breathing and how breathing may in turn influence cardiovascular function. These interactions include neurohumoral, mechanical, hemodynamic and genetic interactions. Other – Thesis Dr. Med. Chris Draft is the Founder, President, and CEO of the Chris Draft Family Foundation (CDFF), a non-profit organization dedicated to empowering families to live healthy lifestyles. He is a nationally recognized community leader and health advocate who serves as an NFL Ambassador, National Ambassador for the Parent Teacher Association, and a national spokesperson on many health-related issues, including the care and treatment of asthma, from which he suffers, and lung cancer, the disease that claimed the life of his wife, Keasha. Team Draft is dedicated to raising lung cancer awareness and increasing badly needed research funding by shattering the misconception that lung cancer is a “smoker’s disease.” The fact is anybody can get lung cancer. Yet, despite the fact that between 20,000 and 30,000 people who have never smoked—including Keasha—are diagnosed with lung cancer in the United States each year, the smoking stigma negatively impacts lung cancer research funding, which pales in comparison to funding for other major cancers and diseases. Team Draft is out to change all that by using the unique platform available to Draft as a former NFL player and nationally recognized community leader and health advocate to lead a national campaign to change the face of lung cancer—a campaign that has, to date, taken Team Draft to more than 50 of the top cancer treatment and research centers in North America. This year, Team Draft partnered with lung-cancer survivor Jackie Archer to help the State of Georgia become the first state in the nation to issue a lung cancer-specific license plate. Draft was part of the ceremonies with Georgia Governor Nathan Deal when he signed HB 732 into law, authorizing the plates and has personally installed the first several plates. In September, Draft participated as a runner and a keynote speaker in the Team LIVESTRONG Challenge Series in Philadelphia, and was recently named a LIVESTRONG Global Envoy in recognition of Team Draft’s work. A leader both on and off the field, Draft has received a number of awards and honors for his tireless work in the community. He was recently honored by SCLC/W.O.M.E.N. Inc. at its 33rd Annual Drum Major For Justice Awards in recognition of the Foundation’s health awareness efforts. Additionally, Draft was selected as the Man Of The Year by both the St. Louis Rams and the Carolina Panthers, and received the NFL Alumni Spirit, Ed Block Courage, and Rankin Smith Awards. He was also a two-time finalist for the prestigious Byron “Whizzer” White Award. In addition to his numerous accolades, Draft is also a published author. His 2010 children’s book, Do You Want to Play Catch?, stresses the importance of family and physical activity. Allison has been an avid runner since childhood and is excited to be able combine running and raising cancer awareness in support of the Wortman Lung Cancer Foundation. She is honored to be involved in the initiation of WLCF and firmly believes in its mission to support lung cancer research and education. Marina Jones began her career as a flight attendant with Northwest Airlines (now Delta Airlines) in June of 1973. She began running in the early 80s for fitness and conditioning for her job, but running became much more for her. She ended up loving the feeling of freedom running gave her, along with the thrill of competition and having goals to hit and exceed. Marina Jones’ running career had begun. She ran her first marathon in June 1982 in Duluth, Minnesota. Her time was 3:31 and she was hooked. Within 4 months she ran another marathon, and she kept getting better with each marathon she ran that followed. Her running career has had many milestones, including qualifying for the Boston Marathon and running on the Great Wall of China. She was once invited to represent Los Angeles in the Mexico City Marathon, and qualified for two Olympic trials -- one in 1996 and then again in 2000. To qualify, one had to run a marathon under 2:50. Marina has completed over 40 marathons in under 3:00 – her best time for a marathon is 2:45:51 – she now runs about 3:30. In 2008, she had a CT scan and a spot on her lung was discovered – she had lung cancer. She had never smoked. A month later – 5 days before her 56th birthday – she had a third of her lower right lung removed. Since it had been caught early there was no need for chemo or radiation. At the time of her diagnosed she had run 81 marathons. On May 6th, 2018 in Orange County, California, Marina will be running her 100th marathon while simultaneously celebrating 10-years cancer-free. After she completes her 100th marathon she hopes to do a marathon in Africa and one in Antarctic; the only two continents she has not yet run a marathon in. Marina has recently joined the Wortman Lung Cancer Foundation (WLCF) board, and she is looking forward to helping them in their mission while sharing her own personal story to help raise awareness and funding for lung cancer.